If you remember, I already shared logic of reversing String in my earlier post, how to reverse String in Java using Iteration and recursion. Here we will use the same logic to check if String is palindrome or not. By the way, if you are preparing for coding interviews and looking for some coding problem to get hands on practice, I suggest you to take a look at Cracking the Coding Interview: 150 Programming Questions and Solutions. This is a wonderful book, which contains lots of easy and medium difficulty level coding problems, which will not only help you to prepare for interview but also develop your programming logic. In our solution, we have a static method isPalindromeString(String text), which accepts a String. It then call reverse(String text) method to reverse this String. This method uses recursion to reverse String. This function first check if given String is null or empty, if yes then it return the same String because they don't require to be reversed. After this validation, it extract last character of String and pass rest or String using substring() method to this method itself, hence recursive solution. The validation also servers as base case because after every step, String keeps getting reduced and eventually it will become empty, there your function will stop recursion and will use String concatenation to concatenate all character in reverse order. Finally this method returns the reverse of String. Once call to reverse() returns back, isPalindromeString(String text) uses equals() method to check if reverse of String is equal to original String or not, if yes then it returns true, which also means String is palindrome. 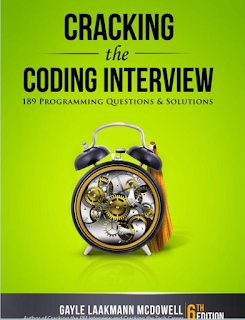 As I said, if you are looking for more coding based problems you can also always check the Cracking the Coding Interview: 150 Programming Questions and Solutions, one of the great book to build coding sense required to clear programming interviews. * Java program to show you how to check if a String is palindrome or not. * An String is said to be palindrome if it is equal to itself after reversing. * and for loop both. You can also solve this problem by retrieving character array from String using toCharArray() and using a for loop and StringBuffer. All you need to do is iterate through character array from end to start i.e. from last index to first index and append those character into StringBuffer object. * using StringBuffer and for loop. 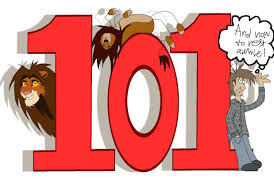 That's all about how to check for palindrome in Java. You have learned how to find if a given String is palindrome using recursion as well by using StringBuffer and for loop. More importantly you have done it by developing your own logic and writing your own code i.e. not taking help from third party library. If you want to do, you can write some unit test for our recursive and iterative palindrome functions and see if it works in all conditions including corner cases. If you like this coding problem and interested to do more coding exercises, you can also check following beginner level programming exercises. This will help to develop your programming logic and how to use basic tools of a programming language e.g. operators, loop, conditional statements, data structure and core library functions. Why it is giving the runtime error?? Hello Anonymous, you need to solve this problem with your own logic without using reverse() method from Java framework. good solution, keep it up.